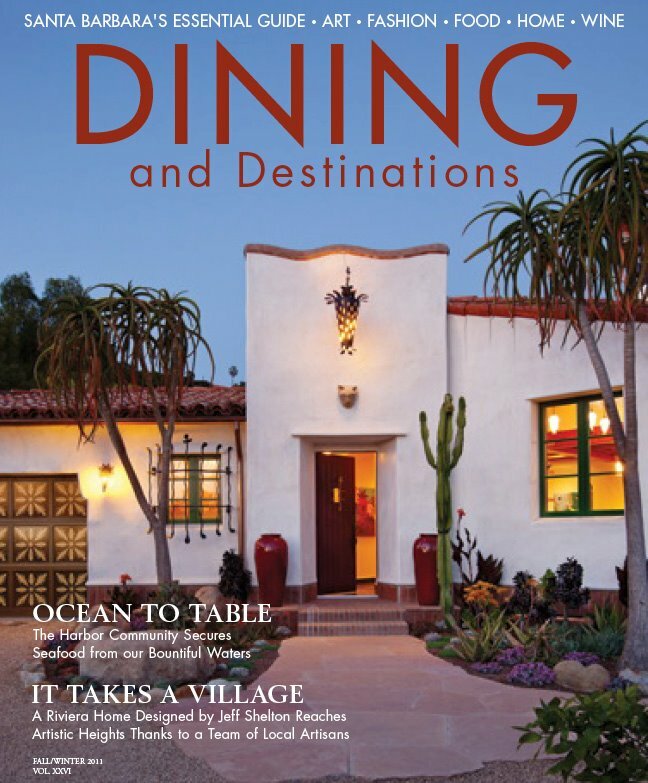 Featured in: Dining & Destinations Magazine! CLICK HERE FOR A FULL SLIDESHOW OF THE DAY! Young Love Shoot Featured on Jose Villa's Blog! 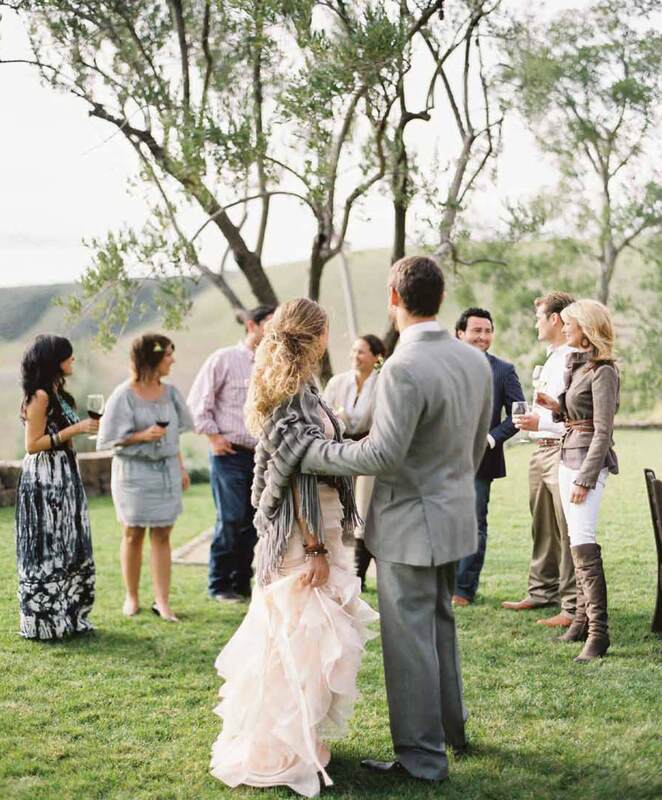 There’s a fall chill in the air – things are definitely getting cozy and romantic! 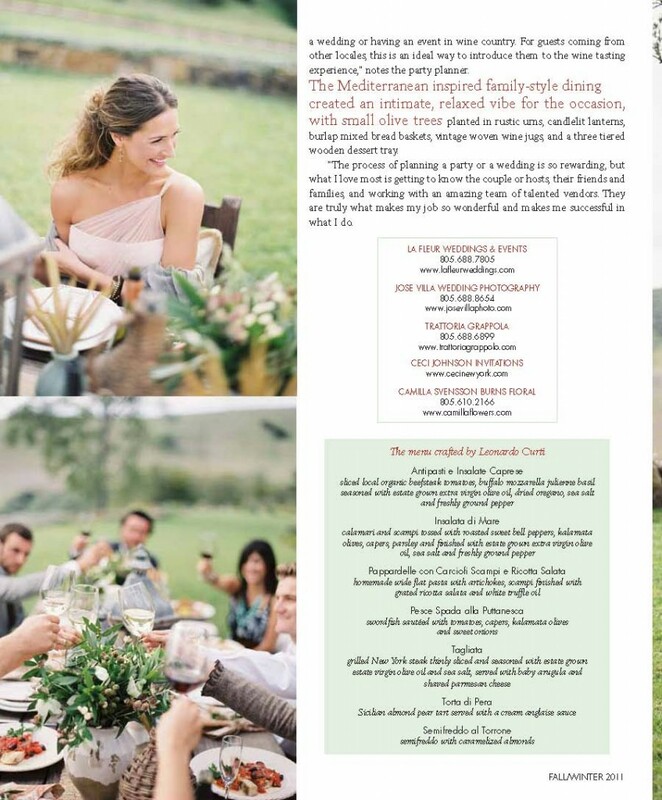 To get you in the mood, this week I’m thrilled to be featuring a project I worked on with event planner Jill La Fleur, whose romantic vision I simply adore. Jill chose Grand Palais, an opulent-yet-subtle invitation from my ready-to-order line, for a dreamy photo shoot at New York’s Metropolitan Building (which, by the way, is great place for your big event). I love how she was inspired by the invite to create a magical, flower-filled world graced by models styled with a hint of old-fashioned charm. I wouldn’t mind trying out the redheaded model’s curly bob one day. Which element from the shoot has you spellbound? 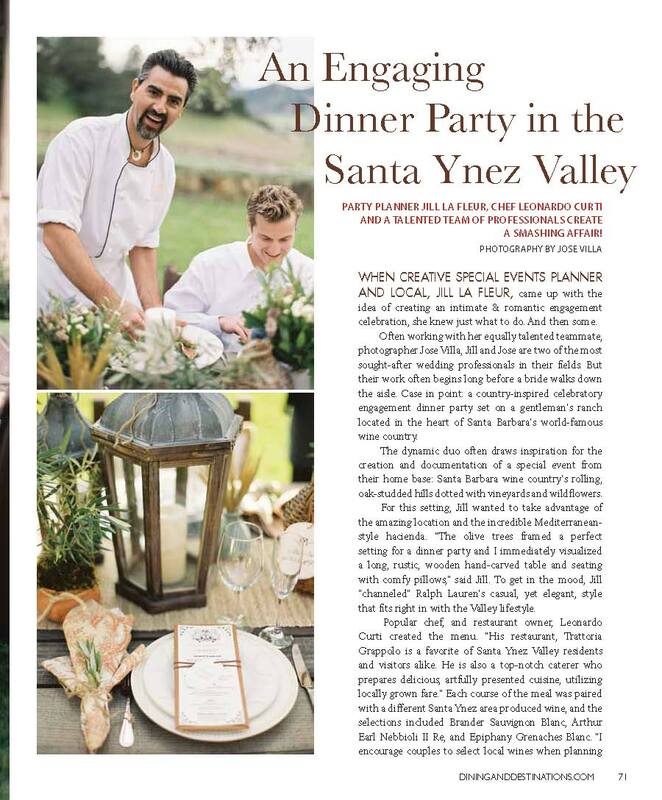 Featured In: Pacific Weddings Magazine! 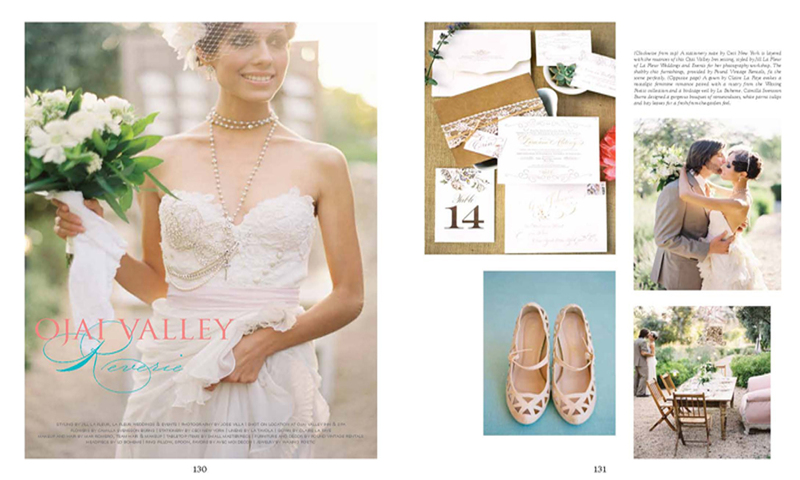 Love Shoot Featured on 100 Layer Cake! 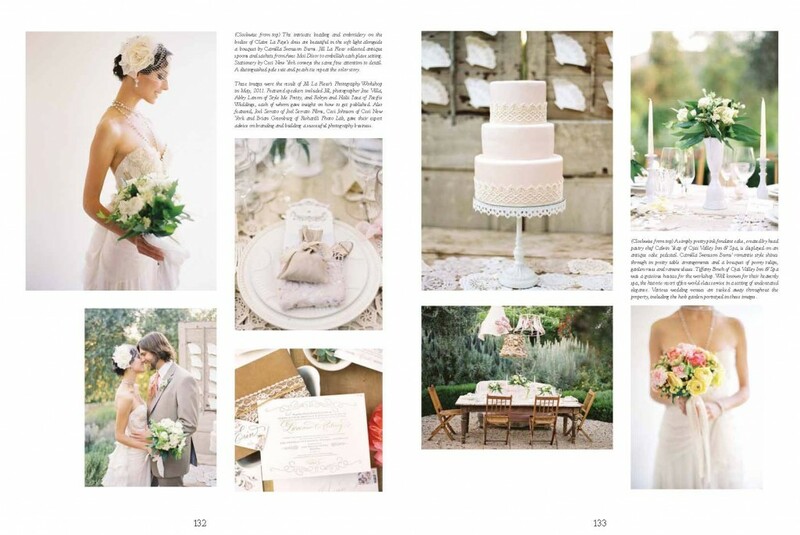 Jose Villa and Sugar & Fluff – these two creatives are no strangers to the wedding biz and should, just by mention of their names, evoke a sense of excitement. This dream team isn’t even capable of producing anything less than beautiful, so when this little stunner fell into our lap, we couldn’t wait to share! Tarek, of Sugar & Fluff states, “This shoot depicts simple style with symbolism of an intimate summer romance through stylized treatment of organic and overlooked items”. Go on, and check out this beauty! 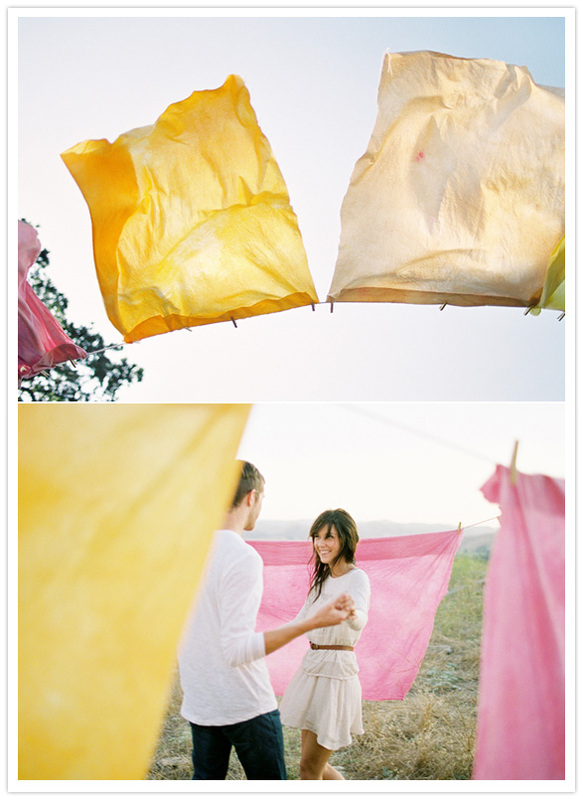 There’s something very nostalgic about the image of fabric sheets swaying in a summer breeze. We love how Sugar & Fluff hand dyed the fabric and hung it on a washing line, further implementing the idea of a simple summer romance. The Sugar & Fluff crew drew inspiration from Anna Sui’s lookbook of 2009, Levi’s “Go Forth” campaign and Rodarte’s Fall 2011. 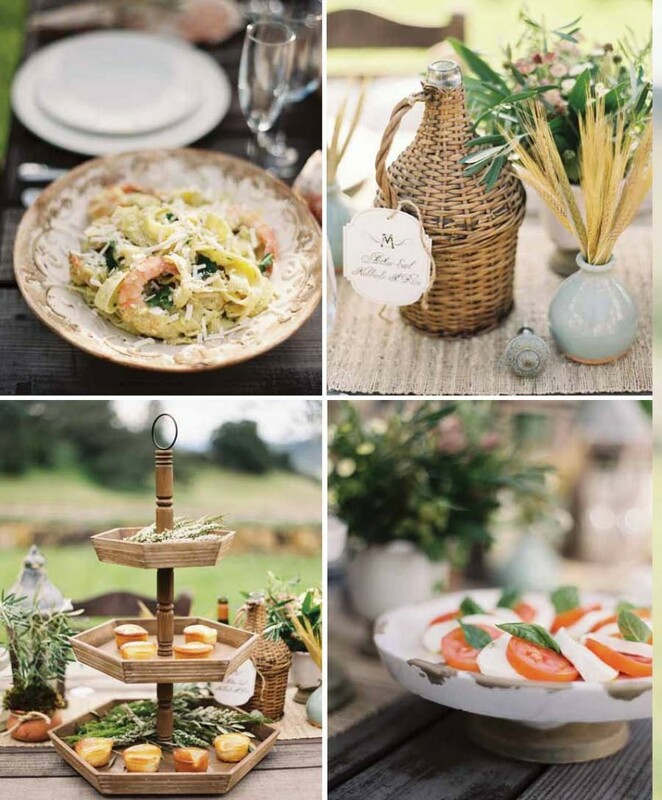 Those are some great bits to get inspired by and we admire how it all led the style with a raw, layered bohemian look. Oh, and we’ve got even more of this pretty shoot coming up in a bit, so keep an eye out for Part 2 and see how they styled their table and designed their paper goods! 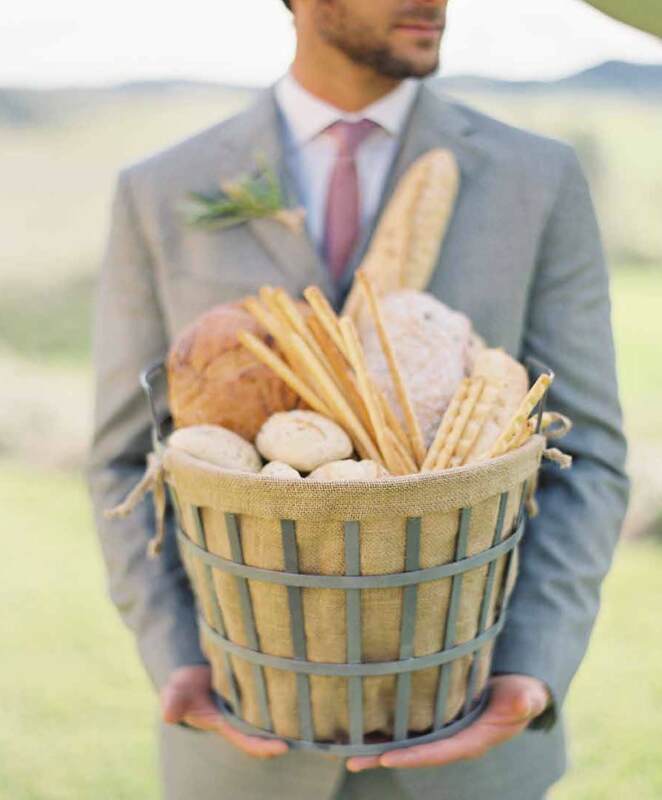 We’re so happy there’s more of this shoot to share with you! It’s got summer romance written all over it, while also serving as the perfect transition into Fall. So, let’s dive right into all the lovely details from Sugar & Fluff‘s most recent creation, and collaboration with Jose Villa. These creatives know how to do it right! 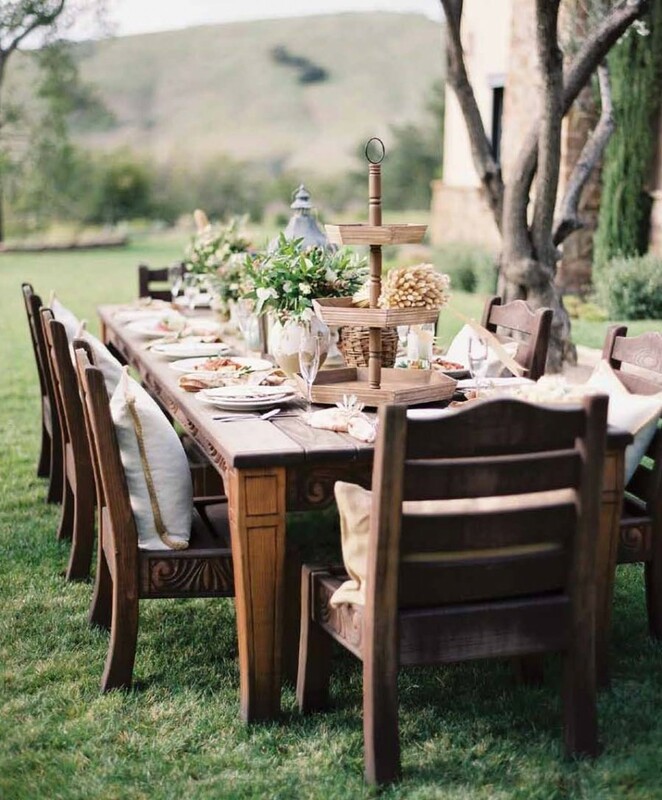 The raw simplicity was transgressed through the table setting and into the centerpiece, which focused on an aesthetic of found, simple organic objects. Invitation design was inspired by the mechanism of the “magic wallet.” I loved the concept of forming some sort of leave behind after the invitation was read and used. Menus followed the stationery suite with colors of gold, white and espresso. 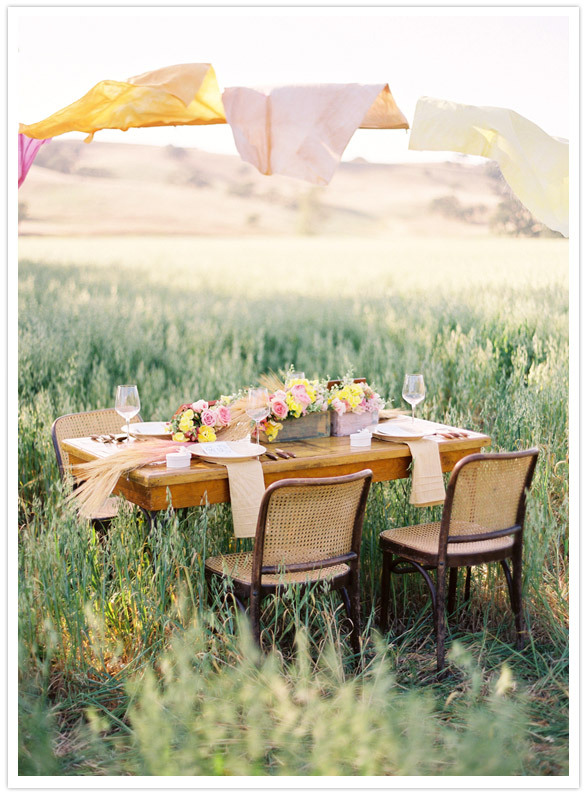 The florals were interlaced with our ombré wheat runner to add a bit of neutral color and detail. We hope to see more collaborations from these two! Thanks for sharing guys!